John Wooden Interiors (JWI) is a full service design firm specializing in high-end residential and commercial interiors. JWI works across various design styles—the common thread is a clean, well-edited blend of elements always reflecting the client's lifestyle. A JWI interior is defined by the unexpected layering of age, style and provenance, tailored with a modern sensibility. Valued relationships with superlative vendors, local trades, artisans and custom furniture makers enable JWI to provide discerning service for clients with projects of varied scale and vernacular. JWI's primary focus is to foster a seamless relationship and collaboration between the firm, the client and the three elements at hand: the architecture, the landscape and the interior. John asserts that, "Respecting these elements ensures a harmonious environment that is unique to each project and classic in its ability to stand the test of time." John is the grandson and namesake of legendary UCLA Basketball coach John Wooden, "The Wizard of Westwood." With over 20 years of interior design experience, John claims his greatest influence was his time spent studying in Paris. The idea of juxtaposing new with old, and the excitement of the unexpected fascinated him. He fell in love with the Picasso Museum of Paris, the work of Diego Giacometti, and of course, Philippe Starck. John attended the Academy of Art College in San Francisco, where he was exposed to the work of renowned interior designer Michael Taylor. After studying several of Taylor's projects in California and Arizona, John developed a greater understanding of scale, the importance of nature, and the use of natural elements—mixing the raw with the refined. Upon graduation from the Academy of Art, John returned to Southern California to work with a prominent interior design firm for nearly eighteen years. Today, as principal of his own firm, John continues to define and refine his clients' taste in order to execute timeless, sophisticated interiors. Originally from California, Stacey studied marketing at the University of Arizona, where she received her Bachelors of Science in 2003. After several years in advertising sales, she decided to follow her passion for interior design and continue her studies at Parsons School of Design in New York City. Upon graduation, she worked for Ashely Whittaker Design, where she had the opportunity to work on various residential projects throughout the Upper East Side. After leaving New York, she returned home to California, where she wanted to continue her career in the state she loves most. 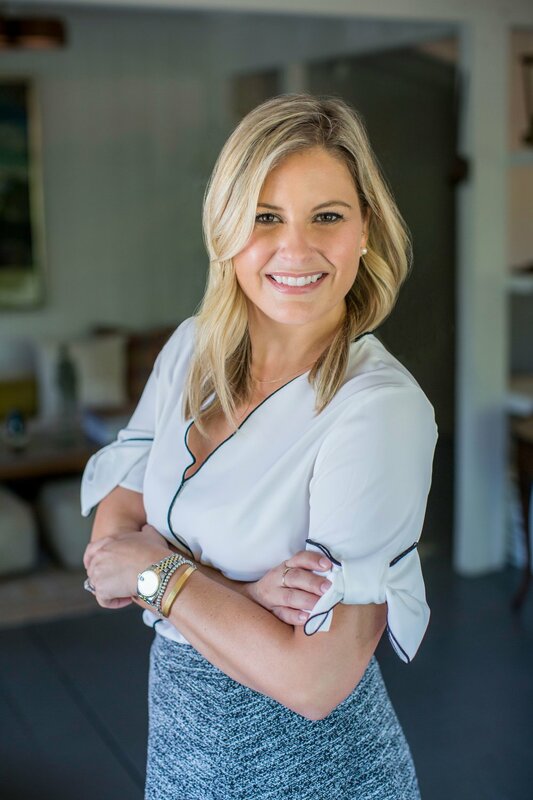 Stacey began working with John Wooden Interiors in 2010 and currently serves as Lead Designer and helps oversee the firm’s operations. Her experience working in a variety of rolls in the design field continues to be invaluable to JWI. She feels very blessed to work with such an extraordinary team, and is constantly inspired by their exquisite tastes, work ethic and knowledge. When not in the office or at a design meeting, Stacey is busy with her husband raising their 3-year-old son and French Bulldog Tank. Ingrid’s appreciation of great design started at a young age - one of her first loves was an Eames Lounge Chair and Ottoman that sat in her godparents’ living room. This sparked a life-long admiration of clean lines and a modern aesthetic. Born and raised in Northern California, Ingrid has called Orange County home for the last 20 years. With a diverse professional background including a degree in psychology, careers in marketing and real estate services, she followed her passion for interior design by earning an Associate of Arts Degree in Interior Design from the Interior Designers Institute in 2018 while working in conjunction with John Wooden Interiors. Upon graduation, she has joined JWI full-time. Ingrid’s disciplined approach combined with her meticulous attention to detail and positive attitude continue to serve her team and clients. In her off-time,Ingrid enjoys seeking design inspiration while traveling with her fiancé both locally and abroad. Danielle has worked in the interior design field for over 20 years. She has been designing homes for a variety of clients with residences all over the world. From California, Arizona, Colorado, Oregon, Washington, Florida to Beijing, China. Styling, arranging and creating has been her passion not only in interiors but in fashion as well. She balances timeless pieces with modern sensibility whether it be pieces for the home or clothing. Danielle’s extensive project management and design experience serve to provide pivotal support to the design team and help ensure that JWI’s projects are run efficiently and smoothly. She lives in sunny Southern California with her husband, 14 year old daughter, and 10 year old white lab.